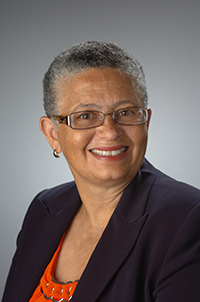 Dean Bea Gonzalez of University College will serve as chair of the 2014 Syracuse University United Way campaign, “Participate with Pride.” The dean will lead a cross-campus committee of more than 15 area chairpersons and a network of volunteers who help publicize the campaign and communicate the benefits of participation. The University has held a United Way campaign on campus each fall for more than 40 years. The organization is the only nonprofit the University partners with as “one University,” with payroll deduction as an option for giving. The dollars contributed to the United Way support 34 agencies and 91 local programs. In the last 10 years Syracuse University has contributed more than $1.5 million dollars to the United Way, and each of those years it has ranked among the top 20 employee campaigns in Central New York. Campaigns held in 2012 and 2013 earned the University a ranking of 7th place in overall giving among Central New York institutions. “Our goal is 100 percent participation—we want to encourage employees to fill in their pledge cards with a gift of any amount,” says Gonzalez. “We invite employees who haven’t ever participated in the campaign to consider designating their contribution in the name of their favorite charity,” she adds. A pledge card, with a message from Chancellor Syverud and Dr. Ruth Chen, and featuring options for payroll deduction, will be sent to all faculty and staff members in early October, followed by e-pledge emails on consecutive Wednesdays, Oct. 15-Nov. 5. “Employees who give for the first time, or who raise their gift by a dollar per week, are automatically entered into the United Way’s Step Up Challenge program, which awards daily prizes,” according to Peg Northrup, campaign coordinator. Gonzalez is a member of the United Way Leadership Committee. Dr. Ruth Chen, professor of practice at the L.C. Smith College of Engineering and Computer Science, is a member of the board of directors of the United Way of Central New York, along with Assistant Provost Patricia Stith and Lerner Center Program Director Rebecca Bostwick. For updates on the campaign’s progress, and information on how and why to give, visit the new Syracuse University United Way campaign website at http://uw.syr.edu. 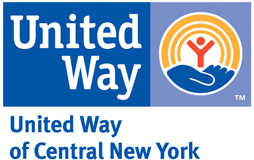 And for more information about the United Way, its funded agencies and its impact on the community, visit its website at http://unitedway-cny.org.